Have you ever considered taking your next spring break in Thailand? Not only could this be the best thing you do this year, it's also well documented that Thailand is one of the top travel destinations in the world. Rightfully so because this exotic location receives more repeat visitors than any other country on the planet. And all this despite the numerous coup d'état's that spring up periodically in Bangkok. Even during these so call uprisings, they seldom, if any, cause concern for foreign tourists. I can honestly vouch for that because I have witnessed these events first hand and never felt threatened or had to fear for my life. In any case, there are dozens of other places in Thailand not affected by public protests. Having said this, there is no reason whatsoever for you not to take your spring break in this beautiful part of the world. And while you are here, there are dozens of the top attractions to visit from ancient temple ruins to exotic beach destinations. From elephant rides to jungle treks. There's no end to it. Depending on just how much time you put aside for your spring break in Thailand you could easily divide it up into a few different areas. For example, you could fly directly to Bangkok, spend a few days there, then fly or drive north to Chiang Mai and its surrounding regions and spend a week or two there. You may decide that islands and beaches are what floats your boat. In that case, you may want to fly to Phuket and then travel to a few surrounding islands from there. Believe me, there are plenty of beautiful beaches you'd love here too. If you are coming to Thailand for the first time and don't quite know how much time to spend in one place, I'd strongly suggest you spend at least one week in each district. Less than that, you won't possibly get to see or do that much. 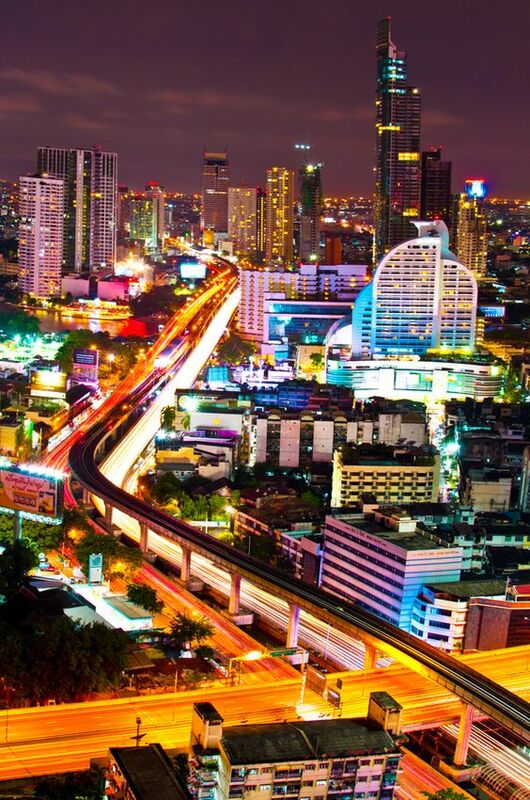 On my first trip to Bangkok, I was told that three days in the city would be more than enough. Were they kidding me! Two weeks wasn't nearly enough. But then again, it all depends on what you like. City life may be too hectic for you and you may simply want to relax on a tropical island with lots of white beaches. What the heck! Before you know it, your time has come to an end and on looking back you could easily have spent another week or two here. In fact, you'll probably want to come back for your next spring break. And I wouldn't be surprised if at some stage you'd want to live here. For your viewing pleasure, I've listed a few places of interest in various parts of Thailand you may want to visit. I'll have to keep it pretty broad, so for the purpose of the excise, I'm giving you an insight to the popular destinations while leaving out places in the rural regions. I've listed just a few Attractions in Bangkok for you to explore, but there is much more you can view by clicking on the link above. Temple of the Emerald Buddha at Wat Phra Kaew is possibly the most viewed temple in all of Bangkok. It is located on the grounds of the Grand Palace. If you are willing to brave the crowds, this is the one everyone is talking about. Wat Pho is the city's oldest and largest Buddhist temple complex. It's located adjacent to the Grand Palace and is home to a 46 metre long reclining Buddha. Truly unique, amazing and mesmerising. Wat Arun - Temple of Dawn is an Ayutthaya 17th century architectural masterpiece located on the banks of the Chao Phraya River. It's five Prang towers are encrusted with thousands of colourful pieces of Chinese porcelain. Chatuchak Market is adjacent to Kamphaengphet station in Bangkok. Easily accessible by road, the underground subway and the overhead sky train. There are book stalls, music stalls, clothing stalls, handicraft stalls, flower and plant stalls. Jim Thompson Museum houses a rare collection of Asian artefacts that Thailand's famous foreigner accumulated. Jim was also accredited for kick-starting the silk trade after the World War II. The museum is located on the opposite side of Rama I Road. 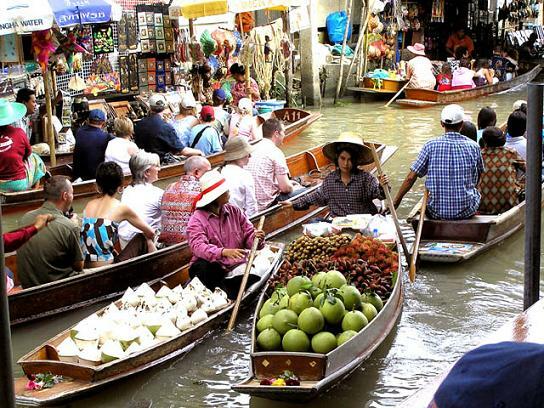 Damnoen Saduak Floating Market is, without a doubt the most popular floating market in Bangkok. It is situated in the Ratchaburi province south-west of the city. This particular market attracts thousands of visitors every single day. Khao San Road may be set on a single street in the Rattanakosin district of Bangkok but it has, without a doubt become a legend among backpackers. To be more specific, it's a budget travellers paradise and a source for almost anything imaginable. While not many tourists spend their spring break in Central Thailand, there are a number of extremely interesting places to visit here. If you're looking for something a little out of the ordinary away from city life, the islands and beaches, then this could add value to your trip. Below I have listed a couple of attractions in Central Thailand for you to explore and others can be viewed by clicking on the link above. Ayutthaya is situated on the central plains north of Bangkok. The ancient ruins here nestle on an inland island surrounded by three rivers. The Chao Phraya, the Lop Buri and the Pasak rivers. Ayutthaya is one of Thailand's best known ancient historical sites. Kanchanaburi is a picturesque town in central Thailand and home to the bridge on the river Kwai. It was during World War II that the infamous Thai-Burma railway began its notorious journey towards the border and the rest they say is history. Pattaya on Thailand's east coast may be considered by many to be the biggest adult playground in the land, but there are many other interests attracting tourists of all ages to this resort. There are some great beaches where you can enjoy all sorts of water sports. There are tropical gardens, temples and architectural masterpieces, museums and art galleries, crocodile farms and tiger zoos to visit. Below you'll find two Pattaya Attractions to explore, but remember there are many others you can view by clicking on the link above. Sanctuary of Truth is possibly one of the best attractions in Pattaya. This architectural masterpiece is situated on the northern shoreline overlooking Palm Beach at Rachvate Cape, Tambon Naklea. Nong Nooch Tropical Garden is a huge recreational park and a major attraction for the whole family. Spend the day exploring perfectly manicured gardens with plants from all around the world. Visit the in-house zoo or take in one of the daily shows. The island of Phuket is a great place to take your spring break in Thailand. Why! because it is extremely adult and child-friendly and honeymoon couples simply love it here too. The island is blessed with some wonderful soft white sandy beaches. It's the perfect setting to just relax and enjoy the warm sunny weather. And the beaches are also safe to swim in. But there's more, much more to do and see here. Below are some attractions in Phuket to indulge yourself, but by clicking on the link above, you'll find a lot more fun things to explore. Phuket Zoo located a few kilometres from Phuket Town on the north end of Chalong Bay is possibly one of the biggest attractions on the island. Both adults and kids will enjoy the daily shows that are on display here. Phuket Butterfly Garden and Insect World, located near Sarm Kong in Phuket Town is a must-see attraction here. Not only will both adults and kids find some amazing butterflies here but also all sorts of creepy crawling insects as well. While there is a growing number of young and maybe not so young expats now living a more permanent lifestyle in Chiang Mai, this northern city in Thailand is attracting a lot more newcomers to the area too. The place is really taking off in a big way. 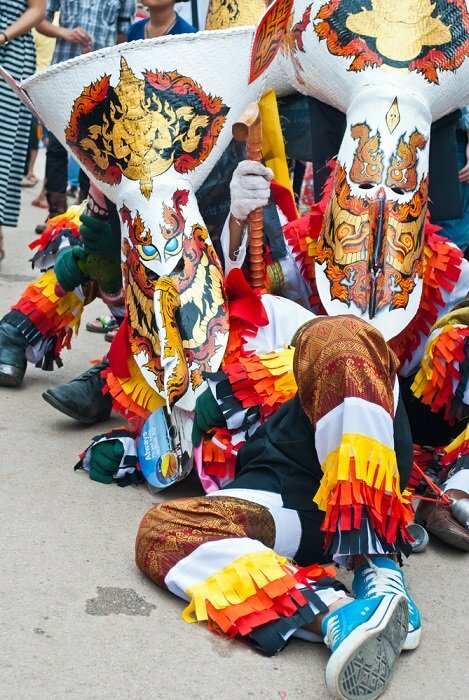 However, you'll still find all the usual attractions like elephant farms, botanical gardens, parks and forests, temples, craft markets and hill tribe villages to explore. While I have listed just a couple of attractions in Chiang Mai for you to explore, there are others you can view by clicking on the link above. Wat Phrathat Doi Suthep is one of the best loved and most visited temples in Chiang Mai. This particular temple is also an important symbol of the city as well as being a holy site for pilgrims to come and pray. Bhuping Palace and National Park constructed in 1972 as a winter residence for the royal family is not far from the Doi Suthep Temple. The highlights here are the magnificent gardens and its beautiful flower and exotic plant life.